Have you ever wondered how the National Gold Ribbon Awareness Tree began? For many years, the beautiful National Gold Ribbon Awareness Tree stood tall in the Old Post Office Pavilion, Washington DC. This location enabled us to hold an official lighting event which included time for families to come together during the holiday season, have a meal together, enjoy activities with their children, and pay tribute to our nation’s children with cancer. This location was no longer available in 2014 when the Old Post Office Pavilion property was sold to Donald Trump to be converted into a hotel. Since we were unable to host an event, in 2014 and again in 2015, we were very excited by AstraZeneca’s invitation to host our National Gold Ribbon Awareness Tree at MedImmune, located in Gaithersburg, Maryland. MedImmune, the global biologics research, and development arm of AstraZeneca, is committed to making a difference in science and medicine in the lives of patients and in their local community. ACCO and our community are grateful to MedImmune for their support to raise awareness of childhood cancer by hosting the 2014 and 2015 tree. 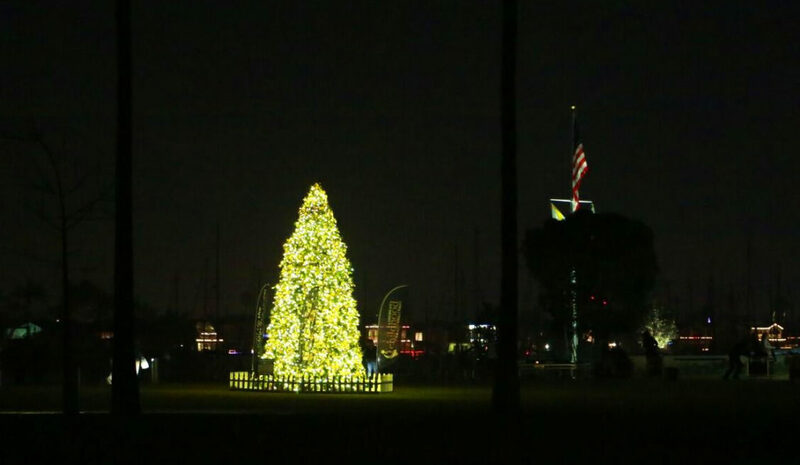 In 2016, thanks to the city of Newport Beach, California and its Chamber of Commerce, we were very happy to share that 2016 the tree stood tall at the new Marina Park in Newport Beach CA, for anyone that was able to visit! The 2016 National Childhood Cancer Awareness Tree was an integral part of the 108th Newport Beach, California Holiday Boat Parade taking place from December 14th to 18th, 2016. Centrally located at Newport Beach’s Marina Park, the 2016 National Awareness Tree was once again be covered in thousands of gold ribbons, each ribbon bearing the name, age and state of a child who has been diagnosed with cancer. 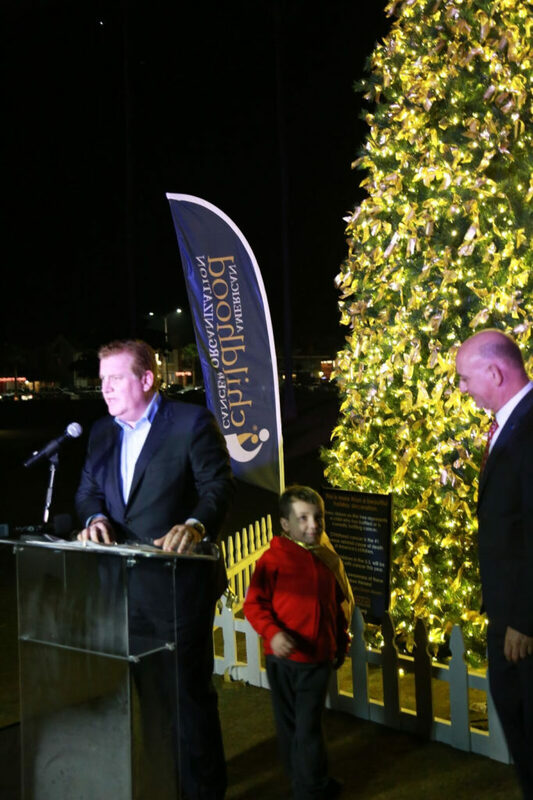 In 2017, the City of Newport Beach, California and Marina Park are hosting the tree to once again stand as a gold beacon, lighting up the park, as a reminder of all the brave children, teens, and families that have fought or are still fighting childhood cancer. To view the 2017 National Awareness Tree, please visit Marina Park in Newport Beach.